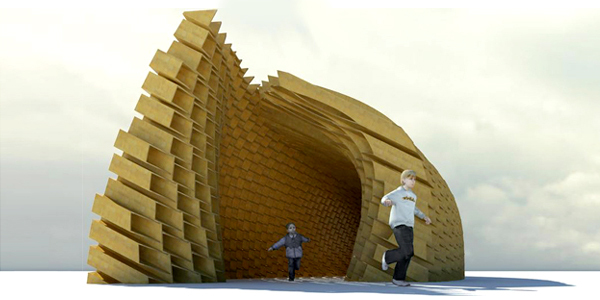 Competition entry for the Art Fund Pavilion project, using a modular wall element system that allows for the creation of a complex geometry enclosure yet minimizes material waste when prefabricating the elements out of plywood using a CNC cutting process. 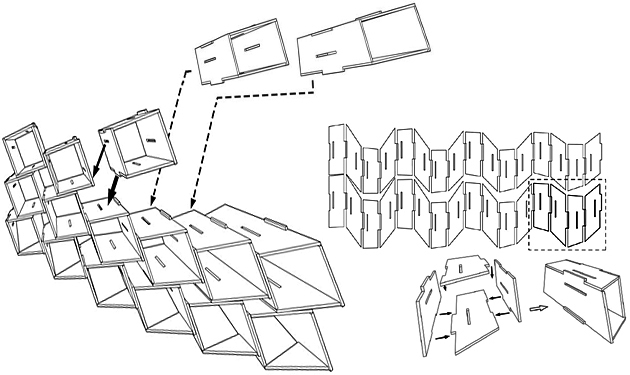 The wall system is based on the possibility to prefabricate spatial modular elements out of cnc-cut panels that have all connection details already encoded into them. This would allow for easy assembly and disassembly (an important requirement of the competition brief) as all connections between modules can be snap fit joints without the use of glue. 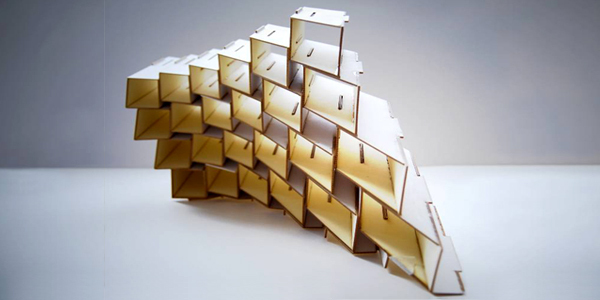 Scaled prototype testing the assembly sequence and architectural effects, fabricated out of lasercut cardboard (photo: Kyunglim Park). Rendering of the final structure as submitted for the Artfund Pavilion competition, showing the variations in depth of the enclosure to be constructed out of spatial elements with variable lengths. 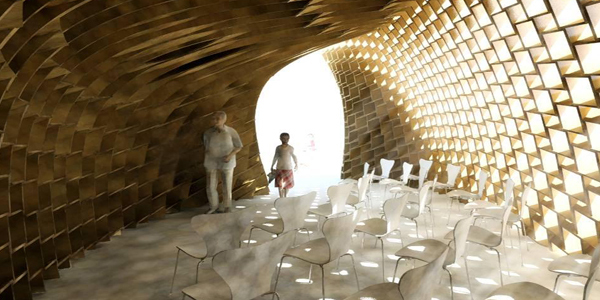 Rendering of the interior space exploring lighting effects and shadow pattern generation (renderings: Kristof Crolla).